Originally from Humboldt, Tennessee, Mr. Tate is the current Director of Bands at Gibson County High School in Dyer, Tennessee. He began his tenure at Gibson County in 2006 and since then the band has consistently received superior ratings as both a marching and concert band. In 2011 (Division II), 2014 (Division I), 2017 (Division I), and most recently 2018 (Division I) the Gibson County High School Band was named the TN Marching Band State Champions. Under his direction, the band has performed a standstill concert at the Statue of Liberty (2010), marched in the Electric Parade in Walt Disney World's Magic Kingdom (2014), and marched in the nation's longest running parade, The 257th Annual NYC's St. Patrick's Day Parade (2018). In 2018 the "Marching Pioneers" were the recipients of the "Marching Band of the Year Award" from the Tennessee Music Awards. His formal education includes the Humboldt City School System, The University of Memphis, and Bethel College. In 2012, Mr. Tate was named the Gibson County School District's "Teacher of the Year" for the high school grade level and again in 2014 for the building level "Teacher of the Year" for Gibson County High School. Mr. Tate has consulted and taught numerous high schools, colleges, and drum corps in Tennessee, Missouri, Kentucky, Wisconsin, and Alabama; including but not limited to serving as the Associate Director of Bands at Bethel College now Bethel University (McKenzie, TN), serving as the visual caption head with the Memphis Sound Drum and Bugle Corps, and serving on the visual staff with the Southwind Drum and Bugle Corps and the Madison Scouts Drum and Bugle Corps. Mr. Tate is an active adjudicator and clinician throughout the eastern United States. His professional memberships include NAfME, WTSBOA, Central States Judges Association, Pi Kappa Phi Fraternity, and a former advisor for Kappa Kappa Psi and Tau Beta Sigma Music Fraternity and Sorority. He currently resides in Jackson with his wife Erika, daughters Katherine & Cassidy, and their dog Allie. Mr. Mayhall is from Kenton, TN and is currently the Interim Assistant Band Director. Mr. Mayhall is also the Director of Bands at Dyer Elementary School and teaches 6th grade at Yorkville and Spring Hill. Mr. Mayhall is a recent graduate from the University of Tennessee at Martin, where he received his Bachelors of Music Education degree. During his time at UTM, Mr. Mayhall spent many semesters in chamber ensembles and studying multiple woodwind instruments. He has also worked with many local schools, including: Obion County, Dyer County, and Westview. In 2014, Mr. Mayhall performed in Brazil, at the Federal University of Pernambuco and also at the Music Conservatory of Pernambuco, where he also attended masterclasses of Brazilian music and also got to discuss classical/jazz saxophone literature with native students. In 2011, Mr. Mayhall also marched with the Music City Drum and Bugle Corps from Nashville, TN. Mr. Mayhall has also advocated for music education at the national level during NAfME's Hill Day 2016. During this time, many music teachers and collegiate students go to Capitol Hill to meet with Senators and discuss topics related to legislation that is being written. Thanks to this trip, the new ESSA Bill (a reauthorization of NCLB), received much more funding in Title IV than what was originally allocated, and also makes music a core academic subject in a "well-rounded education". Professional memberships include NAfME, WTSBOA, NASA (North American Saxophone Alliance), TMEA, Sigma Alpha Pi Leadership Fraternity, and Phi Mu Alpha Sinfonia Music Fraternity. 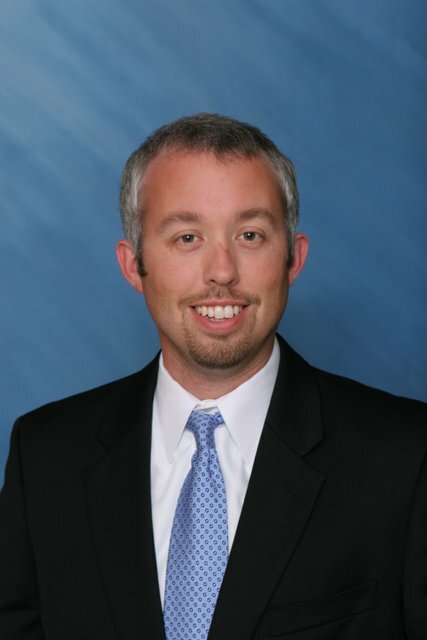 Mr. Agee is originally from Halls, Tennessee and is the new Assistant Director of bands at Gibson County High School. Mr. Agee is also the Director of bands at Rutherford, Yorkville, and Spring Hill Jr. High. He has worked with many schools in West and Middle Tennessee including: Halls, Obion County, Union City, McNairy, and Lincoln County. Mr. Agee graduated from the University of Tennessee at Martin with a Bachelors of Music. Professional memberships include NAfME, ITEA, and Phi Mu Alpha Sinfonia music fraternity. Mr. Agee plays tuba for the UTM brass band and the Martin community band. He has also performed with the UTM Tuba/Euphonium ensemble at the International Tuba Euphonium Conference. Mr. Agee also performs with a brass quintet comprised of area band directors. Mr. Agee currently resides in Union City with his wife Kacie.